Here is the ultimate, nurturing relationship. Cancer will take care of Cancer, as each partner feels and responds to the other’s needs. But this combination can be too much of a good thing, resulting in a needy, enabling partnership. Sun in Cancer guards his sensitivity with a shell of caution and reserve. It can be difficult for the average person to really know him, and a prospective partner will have to prove her commitment and desire to nest. But once he lets down his guard, Sun in Cancer makes a loving, nurturing partner. His goal is to provide comfort, and he’ll do this by taking on a mothering role in the relationship. However, his Shadow side can emerge as overprotective and clingy, especially if he suspects that he’s going to be abandoned. Moon in Cancer is even more sensitive than her Sun partner, because her Cancer vulnerabilities are at an instinctive level. Although she needs to be needed, most people may not even suspect this, as she guards her emotions. 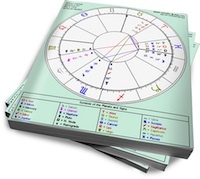 Moon in Cancer only reveals herself to the most trusted partner. Then, her mothering nature will emerge. Even so, it’s easy to confuse her need for profound intimacy with her ability to look after others. Shadow Cancer can continue to protect herself by manipulating her partner into depending on her. If she’s indispensable, she’ll never have to be vulnerable. These two will acheive an immediate comfort level, and Moon in Cancer will open up much faster than usual. Together, they’ll create a cozy little fortress for just the two of them. But the pitfalls of so much nurturing will creep out, as they magnify each other’s tendencies to become dependent. They may turn into a couple who truly cannot live without each other. Much depends on how each partner handles their Cancer energy. And, a healthy dose of Air and/or Fire in their charts can go a long way towards injecting independence into this relationship.